Auburn Constructors (AUBURN) is a General Engineering contractor that has been providing a wide range of construction services for Clients/Owners in California and Nevada since 1990. Based in Sacramento, CA, AUBURN is committed to building long-term relationships based on integrity, performance, value, and client satisfaction. 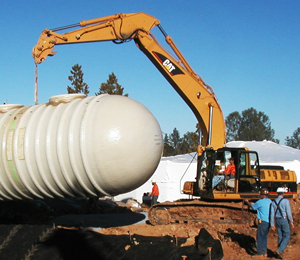 AUBURN specializes in the construction of water and wastewater treatment facilities, storm water and fresh water pumps stations, water storage facilities, and other water resource/recovery projects. Each project is approached as a joint effort between the client, design, and construction teams. We consistently deliver the highest quality and best value to our clients by integrating teamwork, dedicated project management, and outstanding craftsmanship. AUBURN is a merit-shop contractor that self-performs structural concrete, underground and aboveground piping, mechanical equipment installation, and electrical disciplines. We strive to employ only the most talented and hardest working craftsmen in the industry. We work closely with both the Western Electrical Contractors Association (WECA) and Associated Builders and Contractors (ABC) apprenticeship programs to ensure we are providing the necessary training to maintain a highly qualified workforce. AUBURN has successfully provided its employees with a work environment that promotes safety, teamwork, recognizes leadership capabilities, and takes pride in quality of workmanship. This has resulted in a core workforce whereby many of our craftsmen have been employed with us for at least 10 years, with several exceeding the 20 year mark. Each Client/Owner is encouraged to look closely at each completed AUBURN project to identify the level of quality craftsmanship to be expected upon the completion of any AUBURN project. AUBURN believes people are its most important asset. As such, we have created a culture whereby safety is our first priority. We provide both new and current employees with the necessary safety training to ensure they are implementing safe work practices in every aspect of their respect work assignments. All new employees must pass a pre-employment drug and alcohol screen and sign up to our Drug and Alcohol Prevention Policy as a condition of employment. AUBURN’s Company Safety Program is reviewed annually by PICS Auditing to ensure we are current with respect to all Cal-OSHA rules and regulations, and to maintain the standards expected by our clients. Our commitment to safety is reflected in our low five-year EMR average of .66, and we have never received an OSHA citation. AUBURN believes in building long-term relationships not only with its clients, but also with our community. We believe it is our responsibility to use our time, treasures and talents to serve others both locally and globally. We have established a program that encourages our Managers and Administrative staff to engage in community activities through volunteerism. These employees are permitted to take time off, with full compensation, to serve volunteering in activities that have included raising funds for clean water by climbing Mt. Kilimanjaro, leading a Boy Scout group, or helping out at the Collins Teen Center in West Sacramento.